Commissioner of Police, Emmanuel Adeniyi, and three of his family members. Adeniyi is the Officer-in-Charge of the State Criminal Investigation and Intelligence Department, Zamfara State Police Command. Punch Metro learnt that Adeniyi and his family were travelling back to Zamfara from Kaduna on Wednesday when the gun-trotting men flagged down their Toyota Hilux. The gang reportedly dragged them from the vehicle and whisked them away in another vehicle. The identities of the family members had yet to be ascertained. Punch correspondents learnt on Thursday that the kidnappers had communicated with their relatives, demanding N30m ransom for their release. Apart from the ACP and his family, it was learnt that a police officer and three others on a bus were abducted the same day on the road. 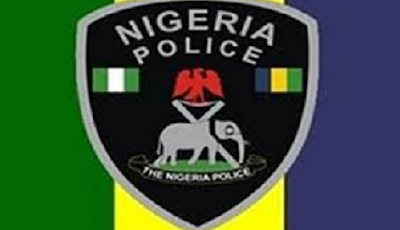 It was gathered that several police units, including the Inspector-General of Police Intelligence Response Unit and Anti-Kidnapping unit, had been deployed to rescue the victims. A source told Punch Metro that the Toyota Hilux had been recovered by the police, adding that the kidnappers were criminals dislodged from Niger State. “A popular businessman from Birnin Gwari, known as Danhaza, and his driver were also abducted three days ago while travelling on the same road to Kaduna,” the source said. A police source disclosed to one of Punch correspondents that the kidnappers of the ACP and his family members had demanded a ransom. The officer said the Force had got some leads on the abductors, noting that the victims would soon be freed. The source said, “The police have information on the abductors, but I can’t tell you much for now so as not to jeopardise rescue operation. They are criminals we dislodged from Niger State. They are demanding about N30m ransom, but I can assure you that we will rescue the ACP and his family safely. As of the time of filing this report, the Kaduna and Zamfara states Police Public Relations Officers, Muktar Aliyu, and Shehu Muhammad, could not be reached for comments as their phones indicated that the lines were not available.